Selection of an attorney is a critical aspect of legal representation. Careful consideration should be given to determine the relative training, experience, certifications, awards, and professional associations of any attorney. The choice of a lawyer is an important decision and should not be based solely upon advertisements. Contacting an attorney via a website or email does not create attorney–client privilege. Communications are not necessarily secure or confidential. Merely initiating contact with the attorney does not create an attorney–client relationship. No Legal Advice Intended. This website includes information about legal issues and legal developments. Such materials are for informational purposes only and may not reflect the most current legal developments. These informational materials are not intended, and should not be taken, as legal advice on any particular set of facts or circumstances. You should contact an attorney for advice on specific legal problems. No Guarantee of Results. Many of the practice summaries and individual attorney biographies on this website describe results obtained in matters handled for clients. These descriptions are meant only to provide information about the activities and experience of our attorneys. They are not intended as a guarantee that the same or similar results can be obtained in every matter undertaken by our attorneys; and you should not assume that a similar result can be obtained in a legal matter of interest to you. The outcome of a particular matter can depend on a variety of factors– including the specific factual and legal circumstances, the ability of opposing counsel, and, often, unexpected developments beyond the control of any client or attorney. As a convenience, this website may provide links to third-party websites. Such linked websites are not under the control of CarolinaAttorneys.com, and Powers Law Firm PA assumes no responsibility for the accuracy of the contents of such websites. The jurisdictions in which each of our attorneys is licensed to practice are indicated in the individual attorney biographies on this website. The ability of any attorney to engage in any activities on behalf of a client outside that attorney’s states of licensure is subject to state statutes and professional codes and court rules. Powers Law Firm PA does not seek, and this website is not intended to solicit, legal employment outside our attorneys’ states of licensure that would constitute the unauthorized practice of law. For purposes of compliance with the Rules of Professional Conduct, Powers Law Firm PA attorneys responsible for the content of this website are Bill Powers, 2412 Arty Avenue, Charlotte, NC 28208, for North Carolina Content, and, with respect to content relating to the Firm's Rock Hill, South Carolina office or the individual attorney(s) in that office, Chris Beddow, 331 E Main St #200, Rock Hill, SC 29730, for all South Carolina Content. The Powers Law Firm PA is the surviving legal entity formerly doing business as Powers McCartan PLLC and/or Powers Landreth PLLC. Powers Law Firm PA and Christopher McCartan PA / McCartan are two separate, distinct legal entities. 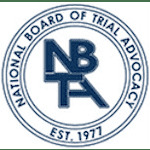 Attorney John Landreth no longer practices law in the State of the North Carolina and is no longer affiliated in any way with Powers Law Firm PA.
NBTA strives to inform and educate the public about the importance of legal representation by board-certified specialists. Additionally, the organization works to recognize and promote excellence in legal advocacy through a national program that certifies specialists, predicated on high standards of demonstrated competence and integrity. 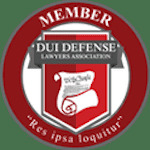 DUI Defense Lawyers Association (DUIDLA) plays an important role in training and educating criminal defense attorneys focused on DUI defense. We provide many benefits of membership to DUI attorneys including access to a private list-serv; networking opportunities, and invitations to quality CLE seminars and events. The organization also provides the public with an important way to search for a qualified DUI defense lawyer in the United States or Canada. 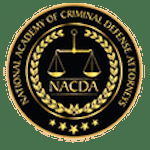 The National Academy of Criminal Defense Attorneys is an organization devoted to recognizing the top criminal defense attorneys in the nation. 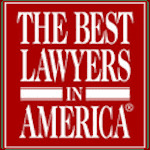 With over a million attorneys in the United States, choosing the best lawyer is difficult. However, through a stringent selection process, the NACDA awards the best criminal defense attorneys in each state with our most prestigious honor of being named “TOP 10”. Avvo has ratings, reviews, and disciplinary records for lawyers in every state.